via More Proof That Treating Workers Well Is Straight-Up Good For Business. Can we get rid of the Managers? 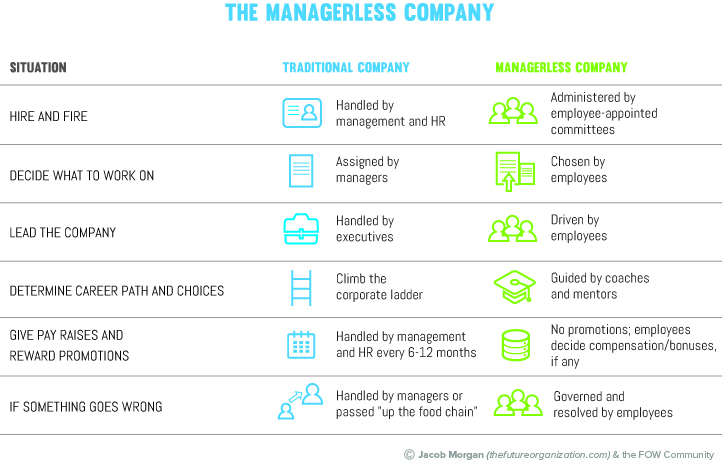 Jacob Morgan (@jacobm) has investigated several companies which have found ways to become and act “managerless”. In his article he also briefly highlights how main tasks are handled within such a company (see picture).